The new Highway 520 floating bridge opened Monday morning to westbound traffic. The new Highway 520 floating bridge is now open to westbound traffic. 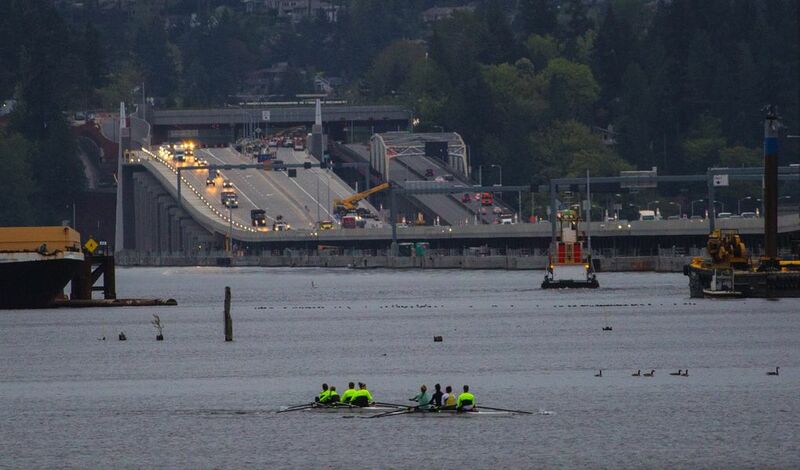 The span over Lake Washington opened at 3:50 a.m. Monday to westbound drivers. The eastbound lanes of the new bridge aren’t expected to open until April 25. Until then, Eastbound drivers will continue to use the old bridge. The new, six-lane, $4.5 billion floating bridge is the world’s longest floating bridge, at 7,710 feet. See more photos of the finishing touches being put on the bridge and crowds celebrating its grand opening, and check out Seattle Sketcher Gabriel Campanario’s illustration of the massive span.